You are here: Home / Blog / Uncategorized / Another year around the sun ???? Another year around the sun ???? I woke up this morning, like any other morning, to the rising sun, but this time, it was the anniversary of my birth – the day I was born. I’ve always been honoured to have been born on this day and in this month. November symbolises the start of summer (where I live in the Southern Hemisphere of course ???? ), the season where everyone begins to appreciate the sun and the great outdoors, in a beautiful place like Cape Town with its iconic mountain ranges and pristine, white beaches. Excitement builds as we approach the end of another year and look forward to new beginnings. Today marks the 18th of the month, the most auspicious day there is. 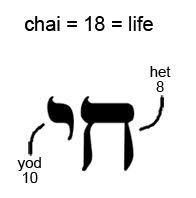 This is because the letters Chet (8th letter) and Yud (10th letter) of the Hebrew alphabet, add up to 18 which spell the word Chai, which means ‘life’ and represents being alive in Judaism, the single most significant thing there is to be! In Judaism, it is customary to give and receive gifts in multiples of 18, which are symbolic of a good deed or mitzvah and known as ‘giving chai’. This particular year ahead is even more significant than ever before in my life because we’re going into the year 2018. May it be filled with blessings for a good and healthy life for all of us! Amen ???????? In closing this brief soliloquy, I’d just like to mention that I read Wired Magazine’s latest newsletter this morning and it happens to be filled with a host of incredible stories that a decade or so ago would have made incredible science fiction stories. The future is now and it needs to be embraced. What a time to be alive!!! 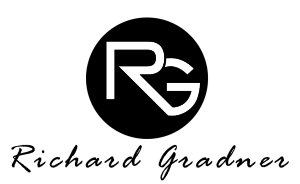 https://richardgradner.com/wp-content/uploads/2014/10/rg-author4-300x184.png 0 0 Richard Gradner https://richardgradner.com/wp-content/uploads/2014/10/rg-author4-300x184.png Richard Gradner2017-11-18 07:12:552017-11-18 10:14:29Another year around the sun ??? ?